We have been so busy recently, every weekend has been taken up by something. Either completing our kitchen renovation or activities. We haven’t had much time at home, just time to relax in the garden and for the kids to happily play in their surroundings. As the summer holidays are approaching and schools out, I wanted to start making a little more time to relax, and what better place to do it, then in my own garden. 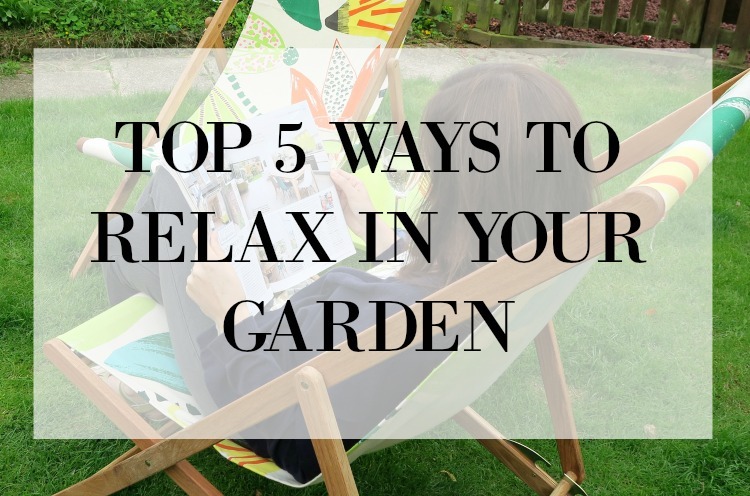 So I have put together some ideas on how you can relax at home, and maybe it might prompt you to stop too! My children have a play area in their garden, it is fenced off to stop the dog going in there, with rubber chippings to give a soft and safe landing. They are so happy in this space, I love sitting back and watching them come up with great games and stories. Sliding, swinging, playing in the sandpit or drawing on the chalkboard. They are happy which makes me happy. Why not take the opportunity to join in with their games, create sandcastles, play catch, swingball or swing on the swing! 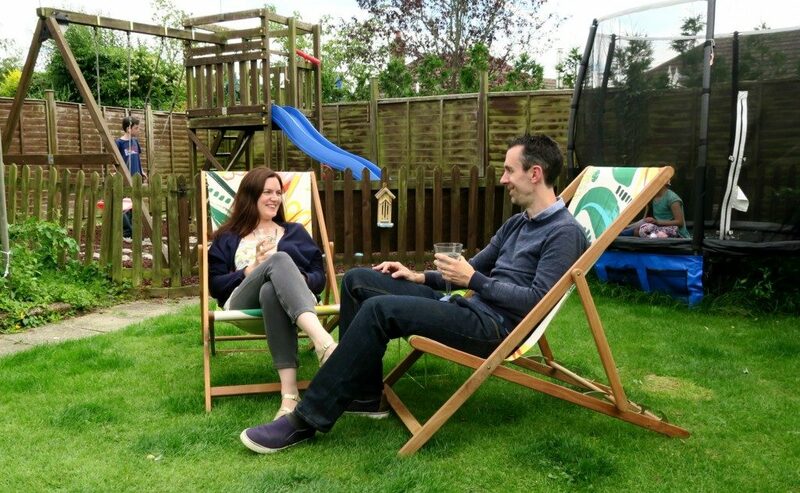 Create a space where you can sit and relax, choose some comfy seating, like these deckchairs where you can rest your head and relax. 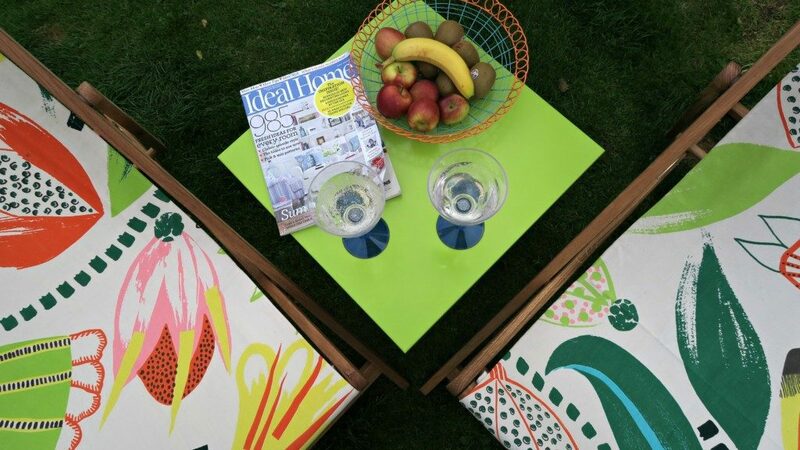 I was sent these deckchairs by Habitat, and they are perfect for relaxing in. Me and hubby enjoyed a drink and relaxing in them one Saturday afternoon. I don’t do this often enough, so now I have these I will be making sure I do. When we complete our garden redesign I am going to make a place for these! Get a drink, a magazine and stop. We have only just got into having a BBQ’s, we’ve only used coal BBQ’s before and hubby found it a pain to get it going and cooking well. However now we have a gas BBQ and we love it! 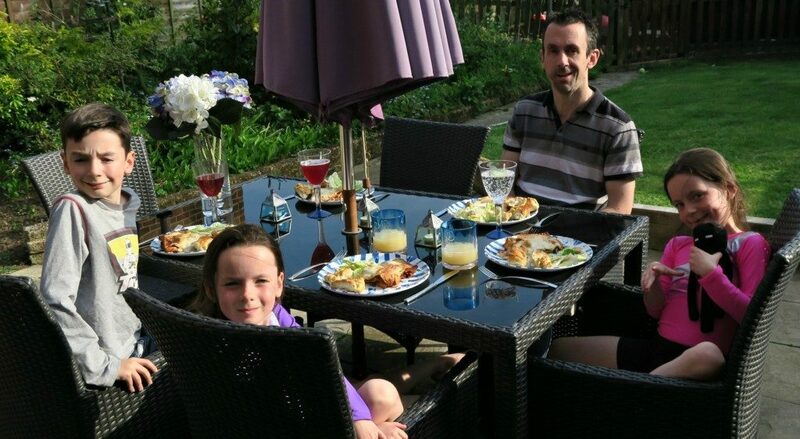 It is really relaxing having dinner outside, the kids love it and it makes you sit around the table together and chat. They can chat about their day, what things they would like to do, family plans and silly conversations together. It is surprising what the kids will come up with once they have all your attention. This depends on your feelings about gardening, I never use to like it. I liked having pretty flowers in the garden but didn’t like getting my hands dirty! However I have been trying to revamp my front garden, and to start creating prettier flower beds, so this has been quite rewarding and I have now started to enjoy it more (with my gardening gloves on!) 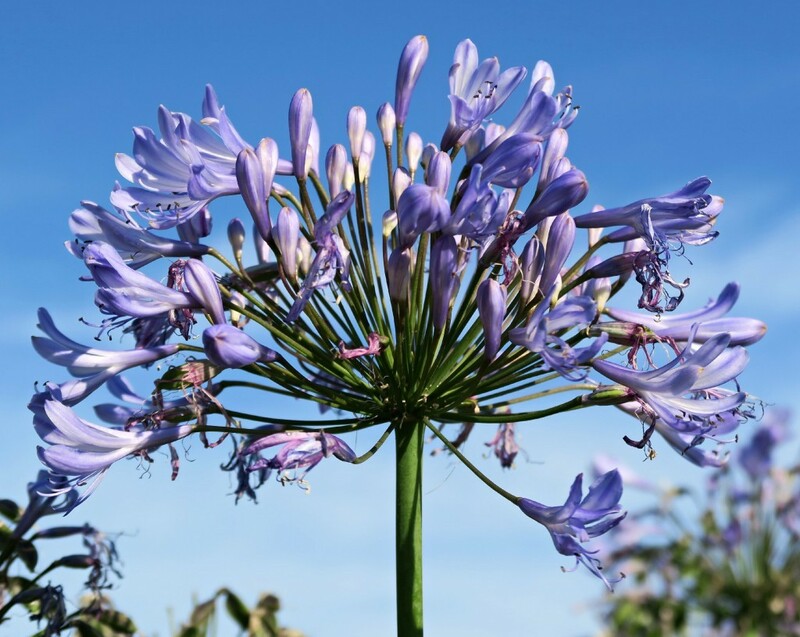 I love to watch and see what is going to flower again, what new ones appear and how it all comes together. So take some time out in your garden and clear the weeds out, dead head the flowers so they flower even more and tidy up the edges. Even plant some bulbs so your rewarded next year with new flowers, I think flowers in the garden is very calming. This can be whatever you enjoy, take some time outdoors to create something new. Build something, design a new area of the garden, create a garden game, do some crafts with the children or give the fencing a lick of paint. This summer I want to create a fairy garden with the children, I have been putting lots of ideas together on Pinterest, so go and have a look. Lots of things are made from treasures the kids can find on the walks out, and around the house, so I can’t wait to put this together. My garden is such hard work and I so need to make it a space to use rather than let it just be outside. Your ideas have inspired me. I love your kid’s play area, especially the fact that it is fenced off. I bet they have so much fun in there. I hope to create something similar for my girls next year when they are old enough to enjoy it. I need new garden furniture, but I find the garden so relaxing! A space where I can relax was the best thing ever. This is my world! Wish I could have a bigger space.